Insider Tip: Dont be shy to get a bag of fresh cherries (in spring), a bowl with raspberries (in summer) or freshly opened walnuts (in autumn) while passing by a local market. Enjoying the fresh fruits and nuts directly after purchase, while walking, is something very Bulgarian. And before you ask: lots of water taps are available to wash the fruits first or to calm thirsty city-explorers. Sofia is still a little known European capital, with over a million of citizens. The famous yellow cobblestones, the views of mountain Vitosha surrounding the valley of Sofia, tiny cute artist-shops, mixtures of different architectural style — the city is a place like no other, with its unique character. Don’t look for an old town or huge skyscrapers. Instead, enjoy the golden domes of charming Orthodox churches, creative street-art and mineral water sources in the middle of town. 25 years after the change of regime lots of culture, history, and gastronomy will keep you busy and ensure you are going to have a great time. Several streets of the downtown are located on the top of a 7,000-year-old city wall. Sofia is colourful, cozy, compact, and at the same time beautifully imperfect. Watch out for the holes in the pavement, a few crazy car drivers, and crumbling facades of some buildings with a smile. Sofia is beautiful to visit in all four seasons. However, I would personally (as a Sofia girl) recommend the spring and autumn. The summer is also very nice and quiet as more than the half of town is at the sea (Greece or the Black Sea); however, the temperatures can rise to some dry and hot 35-40 degrees Celsius. My favourite months are May-June and September-October when the temperature is pleasant for strolling in the city and enjoying the parks and the outdoor seating in bars and restaurants. The Sofia Airport (SOF) is just a 15-minute bus ride from the center with the local bus number 84; the ride costs only 1 Bulgarian Lev (BGN) and you can buy tickets from the driver. Most of the big airlines fly daily to Sofia (Lufthansa, Air France, Austrian). Bulgaria Air and several charters companies also offer flights to Sofia from different European capitals and cities. A great way to discover the city is the Free Sofia tours. The tours are in English and start twice a day, at 11am and 6pm. Enthusiastic and knowledgeable locals show a few of the important places of interest accompanied with background info, funny details, and stories. For more info and the exact itinerary check their homepage. It is no accident that the tour is ranked the number one thing to do in town, as per TripAdvisor. Dont miss a visit to the symbol of Sofia, the cathedral Alexander Nevski, to light a candle inside (which as per Bulgarian-Orthodox tradition can bring you good luck and strong health). As the inside walls of all Orthodox churches (valid also for the Greek and Russian ones) are painted with vivid colours and lots of icons, they are worth exploring even for non-religious folks. After this you can decide to go to a museum or exhibition, or to simply melt into the city life. A large choice of museums is available. Downtown you should stop at the Sofia Archaeological Museum (2 Saborna Street, Sofia). If not a big museum fan do check (and have a cup of coffee in) the bar on its back decorated with museum artifacts, both indoor and in the garden. Behind the National Palace of Culture (known as NDK), a bit off the beaten track is the Earth and Man National Museum (4 Cherni vruh Blvd., Sofia) and its impressive and colourful collection of stones and rocks from around the world. During the six to seven warm months of the year a lot happens outdoors. Not only restaurants and bars have their terrace under the sky and stars, but the city has tons of small cozy parks and gardens where locals hide from the hustle and bustle of busy city life. You will often see friends sipping on drinks on one bench, while on another: people with kids, and on the next one someone playing live music. The garden in front of National Theater Ivan Vasov is a place like this. A mix of bohemian and Mediterranean lifestyle, in the middle of a city with the perfume from big trees around. Bulgarian cuisine is a treat on its own! The cooking is extremely closely connected to the seasons and you will encounter lots of salads and grilled veggie-tapenades in summer and autumn (like ljutenica and kyopolou), while pickled vegetables and slowly cooked meat-stews are typical for the cold winter months. Of course, some typical dishes such as the banitza (crispy dough filled mostly with white cheese) are enjoyed through the whole year. You will find/spot a few dishes from our Turkish and Greek neighbors, like filled wine leaves or the moussaka. For some more tips on Bulgarian cuisine can be found in this Food Postcard on Bulgarian cuisine. 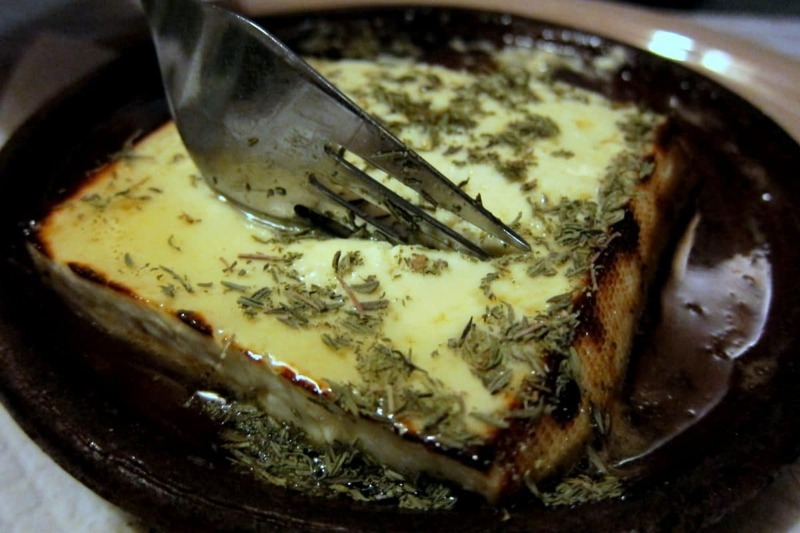 For typical Bulgarian cuisine head to the restaurant Pod Lipite (1 Elin Pelin Street, Sofia). The whole place is traditional Bulgarian style, from the napkins and plates up to the delicious dishes served there. On some evenings, at the end of the week, there is also live music. Make sure you book a table. 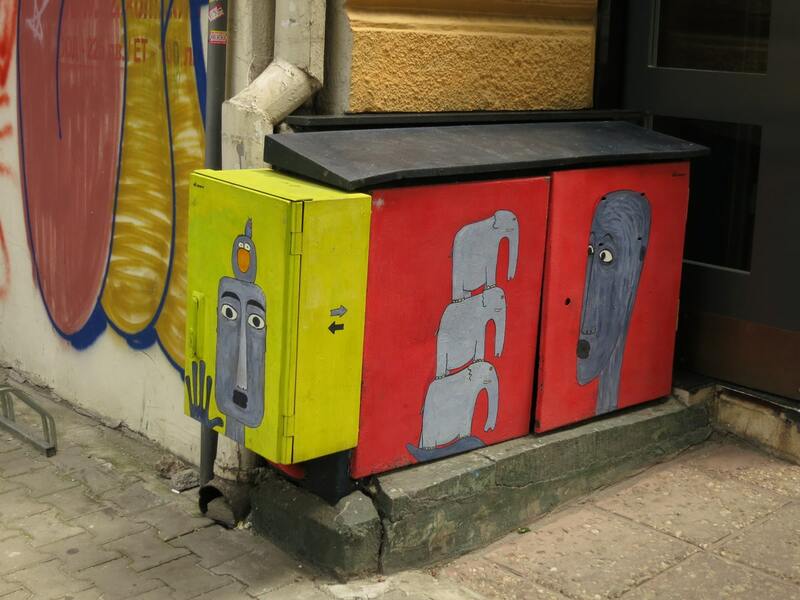 If you get tired while discovering the art in the street Shishman you can stop for a sip and bite in One more Bar-Brasserie (12 Tsar Shishman Street, Sofia). A fancy place for cocktails, a quick cappuccino, snacks, or for a night out with friends — my favorite is their inviting garden on a warm day. While walking downtown you can always stop to buy some fresh bread or vegan cookies and cakes at SunMoon (6-ti Septemvri Street 39, Sofia) at the small five corners. The bistro-bakery-brasserie has a very big and creative menu plus an extremely yummy daily menu (with vegetarian food) which can even convince the non-vegetarians! Good for any kind of stop: from cake and tea to a meal or a drink. The latest discovery of the gourmet-Sofia-world is the restaurant Soul Kitchen (13 Kokiche Street, Sofia). It follows the current trend of raw and vegetarian dishes combined with a very cozy interior and creative menu. A very good selection of Bulgarian wine from mostly wineries, with a very pleasant garden setting for summer days. Sense Hotel (16 Tsar Osvoboditel Blvd, Sofia) offers a great roof-top bar with maybe one of the most mind-blowing views of the city center. Very spacious rooms, an underground swimming pool, and spa are included in the price for around 80-100 Euros (EUR)/night. Hotel Balkan, behind the Presidential office and the Archaeological Museum (5 Sveta Nedelya Square, Sofia), has a central location and the prestige of sleeping in one of the oldest hotels in town. Royal room decoration and high ceilings for a good price (from 70 EUR/night), including comfortable beds. For an art-hostel experience go to Canape Connection Hostel. Clean rooms, cozy ambiance, and very centrally located (12А, William Gladstone Street, Sofia). Here are additional options for where to stay in Sofia. You will do well to utilise the Visit Sofia website before heading to Bulgaria. 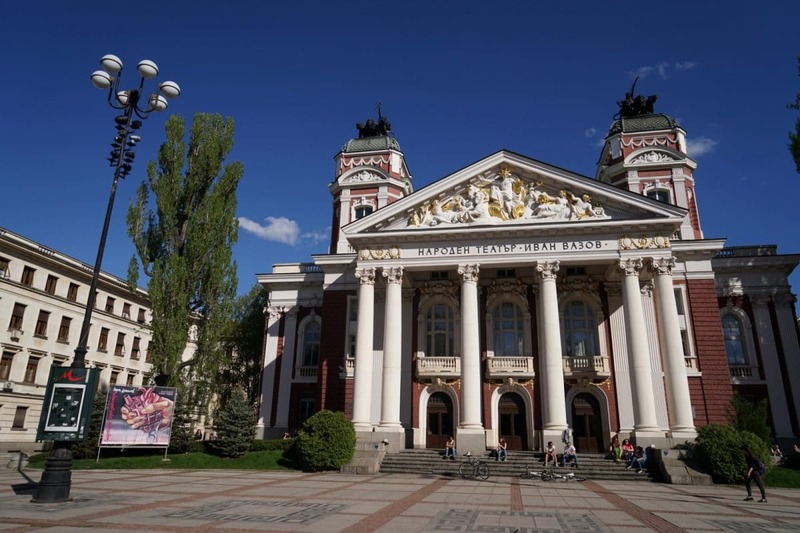 While Sofia-Guide claims to have the most comprehensive Sofia city guide. 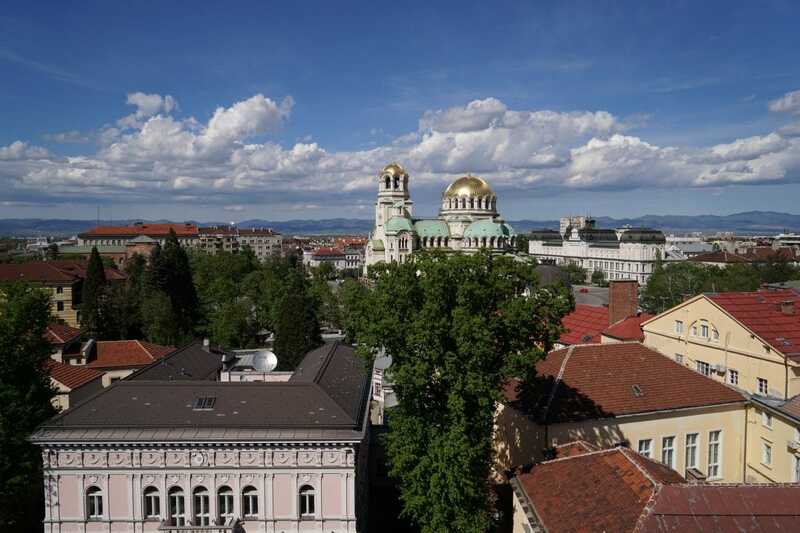 Eat Stay Love Bulgaria will keep you up-to-date on all things related to Bulgaria, including Sofia. For breathtaking pictures which will make you immediately book your trip to Sofia, enjoy the Bulgarian nature seen through the eyes of Evgeni Dinev. A few months ago he was listed as one of the top 10 young landscape photographers worldwide. Andrey Andreev Travel & Photography doesn’t always cover Bulgaria but when it does, it is great. Boyko from BeBack.BG showed people around Bulgaria’s capital as part of the Free Sofia Tour for nearly three years. The website has its own section on Bulgaria, which is well worth a visit.